Dan is originally from Montreal, Canada. Following his graduation from McGill University with an Honors Degree in Political Science, Dan moved to Japan where he worked as an English Teacher for 2 years. 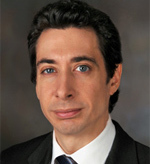 Upon his return to North America, Dan relocated to New York City and subsequently enrolled in the Benjamin N. Cardozo School of Law, where he was an Editor of the school’s Moot Court Honors Society. Following his graduation from the Benjamin N. Cardozo School of Law and prior to establishing his own law practice, Dan worked as an Associate at two established Manhattan law firms. In 2008, Dan decided to go out on his own and established The Law Offices of Daniel A. Singer PLLC. He greatly enjoys the freedom, challenges, and rewards of owning and operating his own firm. When he is not practicing law, Dan enjoys hiking, backpacking, and skiing.